Learning is like one giant puzzle: each learning opportunity adds another puzzle piece to our brain and we constantly build this learning mosaic throughout our lives. We can learn in class, on the job, at conferences, through mentors, via podcasts and perhaps a 1,000 other ways but we learn and we use those takeaways (I like to call them nuggets) to create our knowledge base. 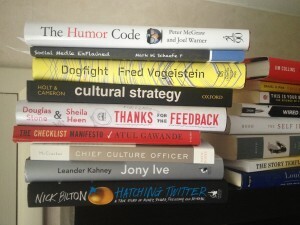 One of my favorite learning tools are books are we all should read one excellent book this summer: Welcome to the 2014 Summer Book Recommendation Reading List! Last summer, I posted a number of excellent books including many of my classic recommendations but the list below is mostly new. The recommendations are in no particular order and you can go to Amazon to find further detail on these titles. If there is a more particular interest, drop me an email and I’ll go deeper into a more specific topic OK.
–The Humor Code by Peter McGraw – I’m 75% though this one and it’s been excellent. I’m particular interested in how humor makes someone more likeable and so far, Professor McGraw has sparked a number of ideas for me to investigate. –Social Media Explained by Mark W. Schaefer – I often get invited to do “social media 101” talks and I have a number of tools to help me with this objective but I am always looking for more nuggets. I’ve read a previous Mark book – The Tao of Twitter – and I have never missed an episode of Mark’s excellent podcast The Marketing Companion. For those of you who have had the Dr. Dan-o Social Media/1-to-1/Direct Marketing class where we read dozens of Harvard Business Review articles, these books are for you. 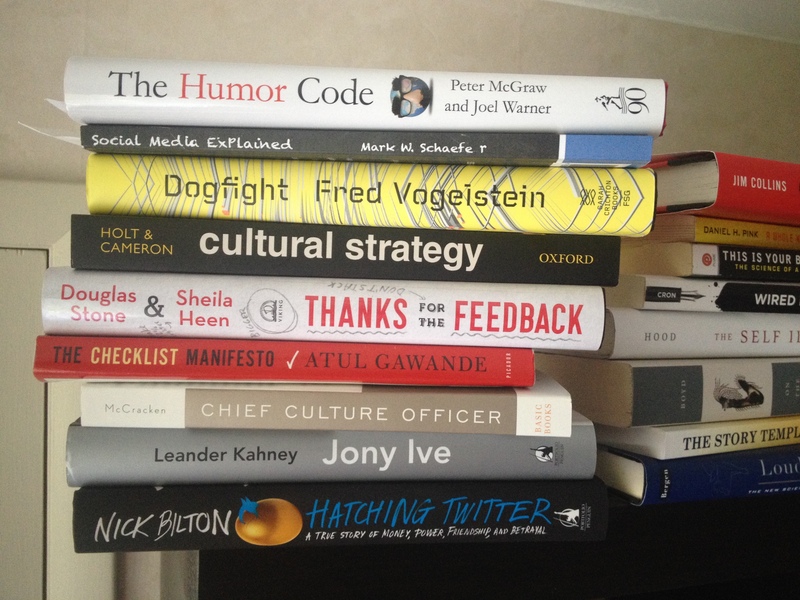 If you like branding – these books are for you. If you feel the consumer or the crowd creates brand meaning and NOT the marketing or brand manger – these books are for you.